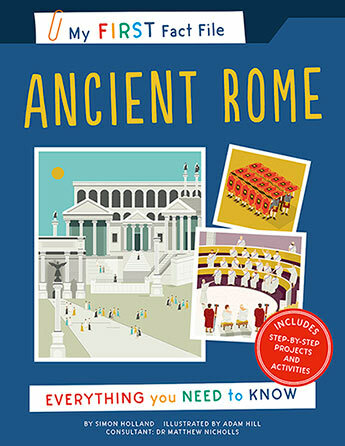 Time travel back to Ancient Rome with this fact-filled guide to the Roman Empire. Learn about the emperors, the soldiers, the gods and goddesses, and the everyday life of this fascinating civilisation. 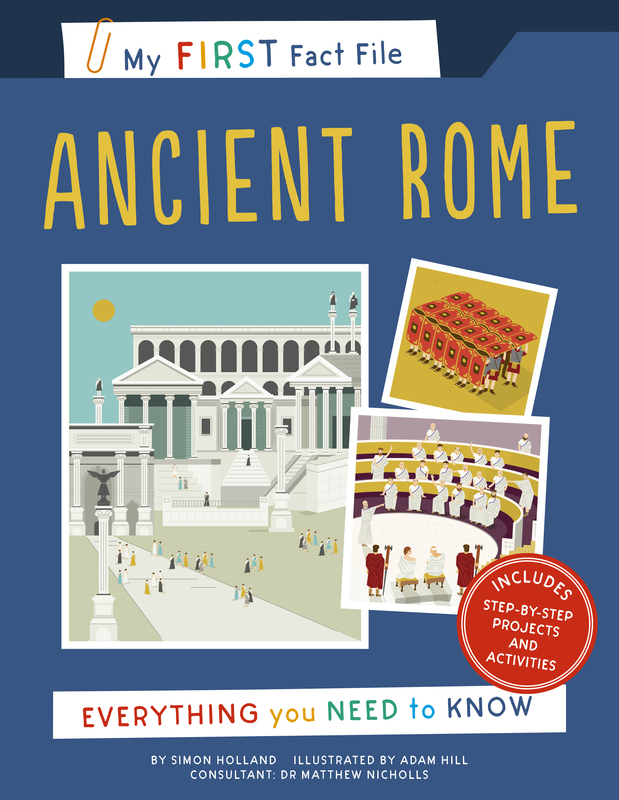 We hear about them all the time, but how much do you actually know about the ancient Romans? In Ancient Rome (My First Fact File), you'll find out all about this incredible society that lasted for over 2,000 years. Discover how the Roman Empire sprawled across Europe and beyond, and how it shaped the world as we know it today. Read all about the battle tactics of the Roman army, and the powerful siege engines they used to conquer the world. Learn about the food eaten in the ancient Roman era, which included roasted ostriches and giraffe legs! Simon Holland is a writer and editor of children's books of all shapes, subjects and sizes. His academic background is in medieval literature, culture and history, but through his career he has also become passionate about the communication of science, nature and technology-related subjects.